You can't be in the retail or restaurant business without gift vouchers. We design and print full or single colour gift vouchers in a variety of sizes with matching envelopes. We also offer an excellent finishing service for gift vouchers which includes laminating, numbering, perforating and creasing - all of which are optional. 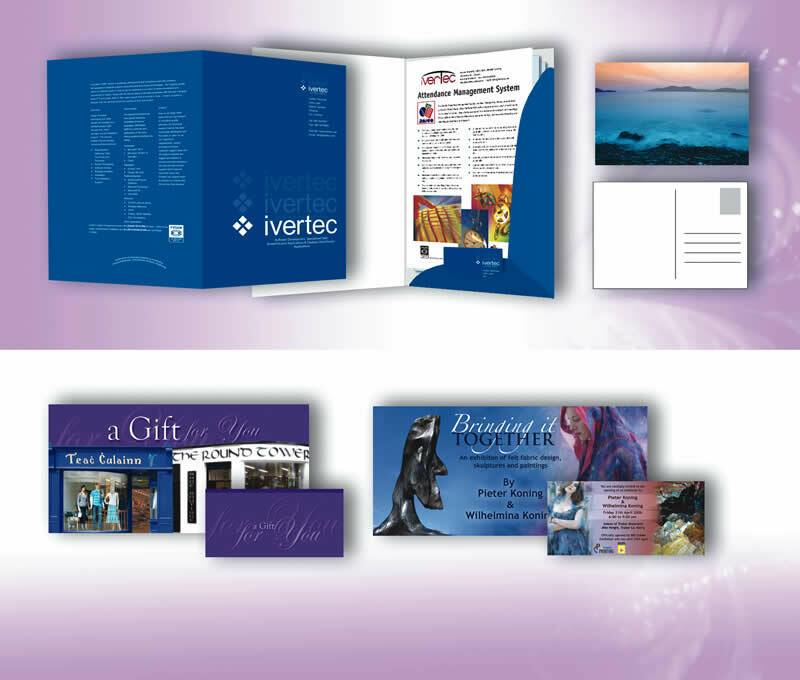 Postcards are printed on a quality board of A5 or A6 size. They can be printed Full Colour on one or two sides and are matt laminated to give a smooth finish. © 2007 O'Connor Printing Limited. All rights reserved.